This comprehensive volume traces the history of Lafayette Parish, from its earliest beginnings and the struggle between the Attakapas Indians and the first white settlers, French Canadians, English traders, and French trappers to the conditions in 1959, when this historical work was first published. The parish has a rich history begun by people of many different descents—French, Spanish, English, Scotch-Irish, German, Italian, and Jewish—coming together in mutual respect and peace, but not without the ups and downs that come with the human condition. Hardcover. In this spicy text, author André Cajun captures the scandalous past of New Orleans’ infamous Basin Street and the area widely known as Storyville. This reprint of the second edition published in 1957 includes the charming pen and ink drawings of Zamb. Roger Hahn provides an insightful foreword that provides a cultural context for Cajun’s lurid depictions. Twenty-four years after the Battle of New Orleans, the Young Men’s Jackson Committee formed in an effort to create a memorial commemorating the battle’s heroes. Beginning with an overview of the Battle of New Orleans, this book details the history of the Chalmette Monument. Firsthand accounts and excerpts from the Times-Picayune chronicle the process, from its conception in 1839 through its completion in 1908. The study also includes period photographs of the monument and portraits of such historical figures as Gen. Andrew Jackson; Abdiel Daily Crossman, a chairman of the Jackson Monument Association and three-time mayor of New Orleans; along with Newton Richards, the designer of the original monument. This written and pictorial history describes New Orleans during the early nineteenth century, with an emphasis on Andrew Jackson’s presence in the city. The book begins with a drawing of the proposed layout for New Orleans from 1815 by Jacques Tanesse, a city surveyor. Following sections provide an explanation for such locales as the Place d’Armes, which comprise the Cabildo, the St. Louis Cathedral, the Presbytere, and the Pontalba Buildings. 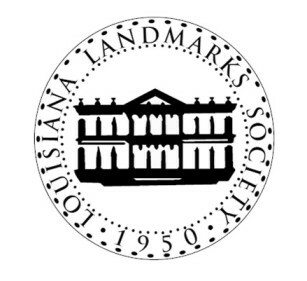 Celebrate 300 years of New Orleans history! The McCarthy era changed every aspect of American life. Charges of communism were levied against professionals in the arts, business, and every level of government. How those charges defined a dark time and came to destroy two of Louisiana’s most powerful politicians is the story of The Big Lie: Hale Boggs, Lucille May Grace, and Leander Perez. Paperback. Based on the critically acclaimed documentary Biloxi Memories and the Broadwater Beach Hotel, produced and written by Barbara Sillery, this lavishly illustrated celebration of the community on the Mississippi Gulf Coast looks at its history from its first inhabitants until today. With nearly thirty interviews of those who lived or visited there, Sillery breathes new life into the tales of this coastal resort. Hailed as second only to Las Vegas as a gambling destination, Biloxi continues to draw visitors from the Midwest, South, and abroad to see its historic landmarks, including the resilient Biloxi Lighthouse. Sillery has captured the fond memories of generations who visited the shores in vintage postcards, photographs, and memorabilia. From the famous visitors and residents—Iberville, Elvis Presley, Jayne Mansfield, Jefferson Davis, and more—to the curious characters, including the “Mad Potter,” Sillery pays homage to them all. Embracing an authentic and comprehensive account of the chief events in the history of the state, this newly republished double volume collection provides a record of the lives of many of the most worthy and illustrious families and individuals of Mississippi. People of African descent have shaped New Orleans from its earliest days into the vibrant city it is today. From the slaves and indentured servants who drained the swamps, erected the buildings, constructed the levees, and dug the canals to the Freedom Riders who fought for racial equality in a segregated South, New Orleans’ history and black history in America are intricately connected. This riveting account is the first comprehensive examination of the Lincoln County feud, a quarrel so virulent it rivaled that of the infamous Hatfields and McCoys. The conflict began over personal grievances between Paris Brumfield, a local distiller and timber man, and Cain Adkins, a preacher, teacher, doctor, and justice of the peace. The dispute quickly overtook the small Appalachian community of Hart, West Virginia, leaving at least four dead and igniting a decade-long vendetta. Approximately 70,000 Italian immigrants arrived in the Port of New Orleans between 1898 and 1929. They brought with them a yearning, a hunger for the things they valued: bread, respect, fortune, security, beauty, justice, and drama. Impoverished conditions in Sicily lead its people to respond to Louisiana planters’ pleas for workers, and the transported Sicilians were then able start new lives, rising quickly to become leaders in their communities.